Many Buenos Aires monuments belong to this architectural movement developed in some Western countries between the end of the 18th century and the beginning of the 20th century. It is an architectural trend characterized by the recovery of the stylistic models from the past. In fact, from the end of the 17th century, eclectic architects started to reuse and mix historic styles that so far had been rejected due to their free interpretation of the classic repertoire. Thus, between the last third of the 19th century and the beginning of the 20th century, the following styles were applied in several Western monuments: the Neo-Baroque style, inspired in the baroque architecture from the 17th and 18th centuries or the Neo-Gothic style, inspired in the medieval gothic. This trend, used by the Fine-Art style, made many monuments to look like heterogeneous very difficult to classify. Casa Rosada, work by Italian Architect Tamburini, is an eclectic work that combines elements from different esthetic origins. 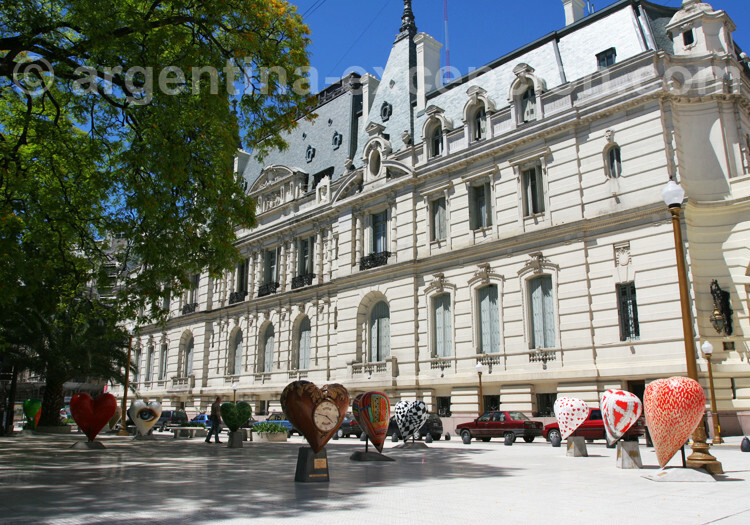 It is located at Plaza de Mayo (Mayo Square) and classified as Historical Monument. 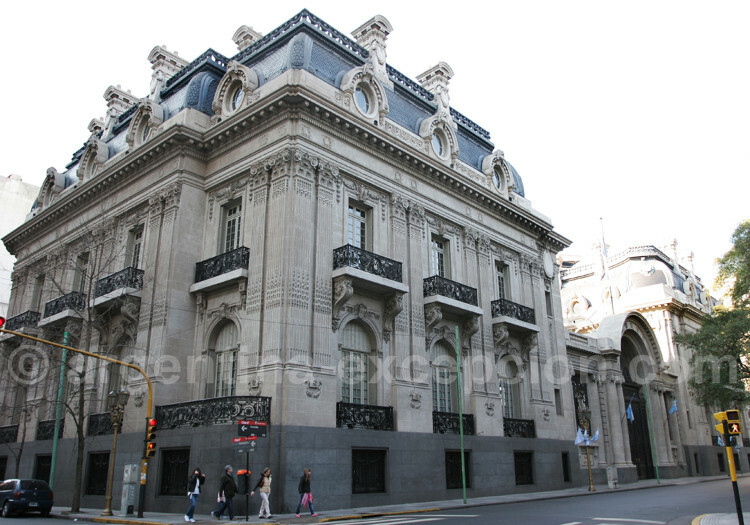 Nowadays it is the office of the Argentine Republic executive power and the President’s residence; this monument was originally divided into two parts: the government offices on one side, and the Post Office on the other side. Great Tamburini was determined to join Casa Rosada’s main entrances overlooking Plaza de Mayo. Its pink color, very much used in Argentina in the 19th century, according to the legend, was used due to a combination of lime paint and cows’ blood, widely appreciated because of its fixing properties. 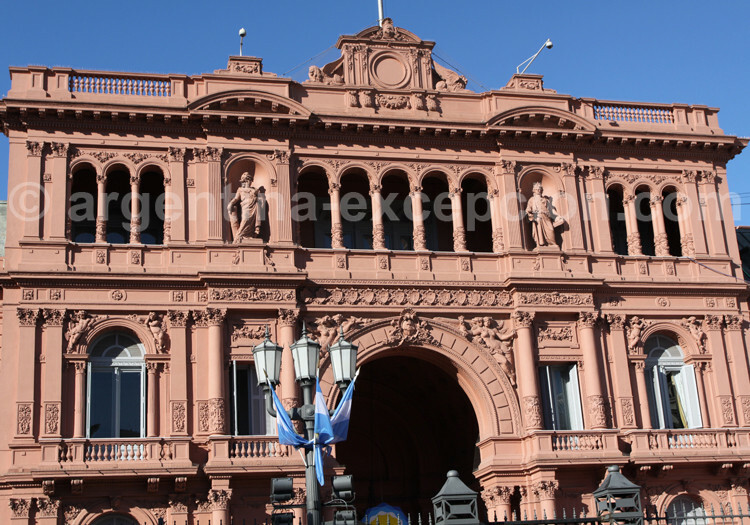 Casa Rosada is still one of the most emblematic buildings in Buenos Aires. This monument is located in San Nicolás neighborhood and it is representative of the French academicism architecture. 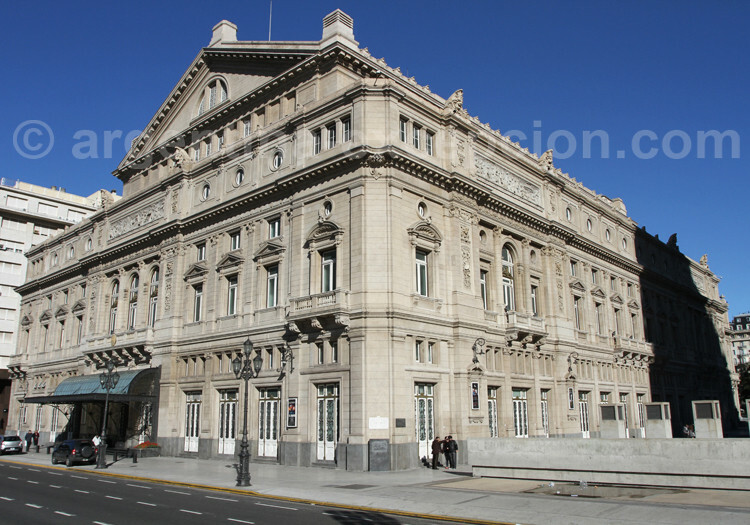 It was designed by French Architect Norbert Auguste Maillart in 1888 and opened on September 28, 1928 under the Presidency of Marcelo T. de Alvear. The beginning of its construction was difficult as the architect gave up his position and was replaced by Russian Jacques Spolsky. The facade overlooked Sarmiento Street and was decorated by French Sculptor Auguste Bartholdi, famous for having done New York Liberty Statue. 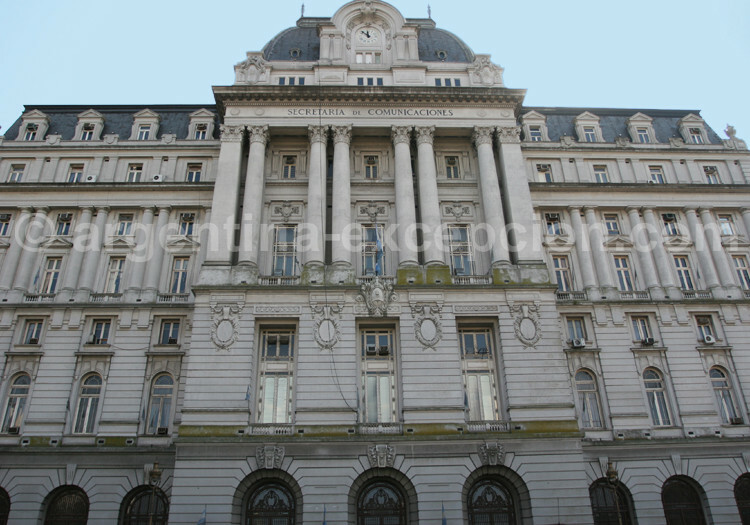 The Central Post Office was declared a historical monument in 1997 due to its architectural quality, its historic importance, and the pieces of work kept inside. Nowadays, there is a restoration and refurbishment project to turn the Post Office into a cultural center of international importance. 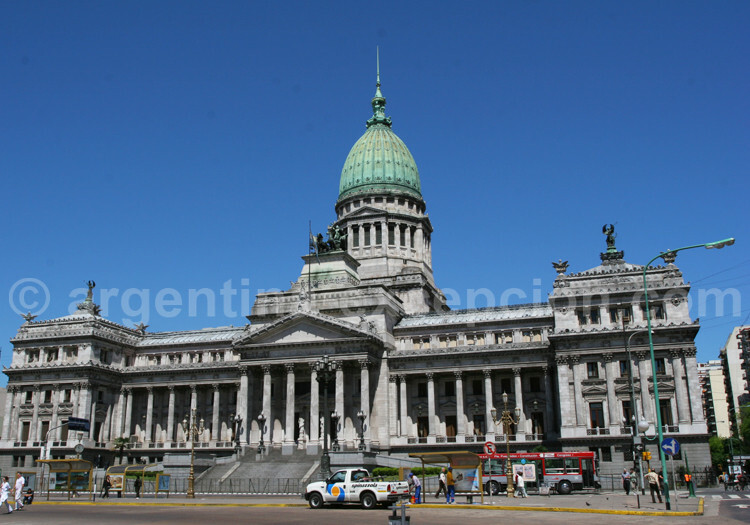 The offices of the Argentine Legislative Power are nowadays in this monumental building. In front of Casa Rosada and dominating the axis of Mayo Avenue, it magnificently reflects the urban perspective. Its great dome is 80 meters high and weighs 30,000 tons; it is covered in bronze and decorated by a metallic sculpture whose construction implied a technical deed for those times. It was designed with the style of the Italian High Academy at the end of the 19th century and built over a granite base; it is completely covered in grey lime stone. The Parliament gathers all the characteristics of the classic decoration, especially its facade that has a central porch made up by six Corinthian columns. This theater was designed by Architect Francesco Tumborini and it is one of the best-known operas of the world. It is located at Lavalle Square stunningly overlooking 9 de Julio Avenue, the building combines a Neo-Renaissance Italian and French Baroque styles. It has an excellent acoustics and a capacity for 2,487 seated and 4,000 standing members of the audience. The building is over an 8,200-m² area, with horseshoe-shaped levels that make six levels of boxes and an enormous stage. Since the theater was opened, it has received the best-known musical companies and renowned artists creating its worldwide prestige. 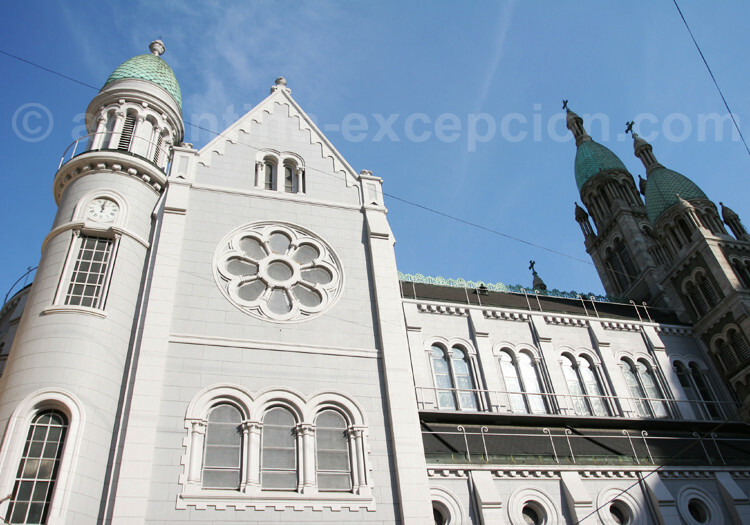 This basilica was made by Architects Coulomb and Chauvet at the request of Mercedes Castellanos de Anchorena, daughter of one of the pioneers of the European immigration in Argentina and owner of San Martín Palace. It is located near San Martín Square and its harmonious construction was finished in eight years. In 1935 Corina Kavanagh had the Kavanagh Tower built with 33 floors just in front of the Basilica to hide its view. The history tells that this young woman, descendant of a “newly rich” family, lived a love story with one of the sons of Mrs. Anchorena and that the latter opposed and put an end to such a relationship. In revenge, Corina had a very high tower built to prevent the Anchorena family from seeing the family church from their house located on the other side of San Martín Square. The religious building has five towers, three at the front and two at the apse level, as well as a white-marble sculpture where the Custody Elevation is represented. Between the residential houses that can still be found in Buenos Aires, none is compared to nowadays Círculo Militar, best known as Paz Palace. This palace can be considered the most outstanding and finished of all the buildings made at the end of the 19th century and the beginning of the 20th century. It was designed by French Architect Henri Sortais for Doctor José C. Paz; the building is made up of three wings and a great inner garden. The main facade is similar to those of the typical French castles and its outer sumptuousness is confirmed when you get into the luxurious rooms that are open to the public. Visits in Spanish: ARS 8 on Tuesdays and Fridays at 11am and 3 pm, Wednesdays and Thursdays at 4pm, Saturdays at 11am. Visits in English: ARS 20 on Tuesdays and Fridays at 4pm. It is nowadays the office of Etiquette of the Argentine Foreign Department and was declared historical monument; San Martín Palace was created by Architect Alexandre Christophensen. It belonged to Anchorena family but in 1936, when many economic powers were falling apart in the world, the heirs of the palace decided to sell it Buenos Aires government, taking advantage of the plunge of the prices, bought it at a minimum price compared to the actual value of this high level property. 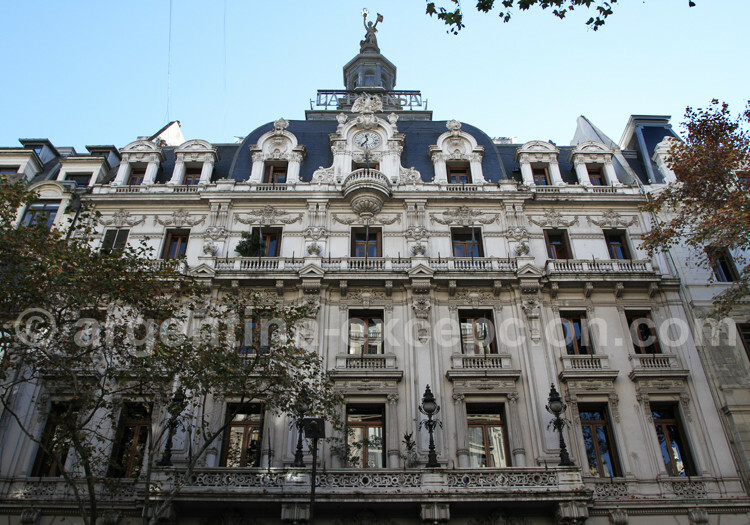 It represents an important testimony of the influence of the French classic architecture in Argentina. You can find pieces of work made by Argentine and American artists of the 20th century, and a library specialized in international law. You can also find a collection of Pre-Columbian art of the Argentine Foreign Department with pieces of pottery or stone and metals inherited from the Northwestern culture of the country. The Palace offers free guided visits on Mondays and Wednesdays at 2:30pm. Argentina Excepción suggests a tour to discover Buenos Aires architecture.